My mother is currently visiting us from Hong Kong for 2 months and looking after Nicole while I am back at work full time. When she leaves I will be working from home a few days a week while my aunt takes over looking after her at mine for a few days so it's a good balance. It's been almost 12 years since my parents retired and moved back to Hong Kong for good having lived in UK for 20+years. Surprisingly there are a few things she still remembers from her time here yet there is SO much she's actually forgotten. 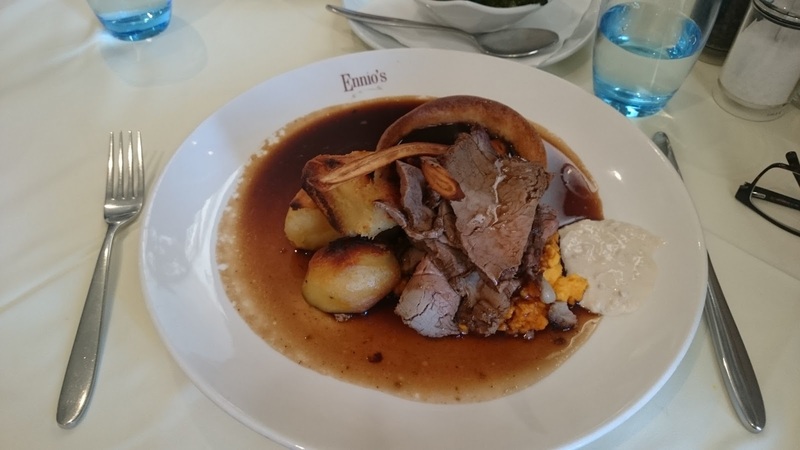 Fish & Chips and Sunday Roast are never forgotten and a good old lamb Roast (I took her to Ennio's our local Italian for a delicious roast a few weeks back) is probably the only English food she actually likes along with cottage pie! Going back 15 years when we had a take away, and a huge kitchen (full of all kinds of different catering equipment) then cooking was so easy, so you can imagine the struggle my mum had cooking a roast in my apartment. The oven is small and the general cooking space is not quite the same and I am always like...don't get this / that dirty! Anyway we decided to cook a simple lamb roast this weekend with just simple roast potatoes, yorkshire pudding and some veg to end the week. The last few weeks have been hectic yet good at the same time. I love coming home from work and dinner is cooked, nothing quite like your mums cooking especially after a long day at work. When I walk through our communal hallway it's usually my neighbours dinner I can smell but these days it my dinner. LOVE IT! Things have also been rather routine lately as that tends to work well for Nicole. Mum will do her usual and I get home from work at 6ish eat dinner play, bath then milk and bed. We try and get all this done for around 8.30-9pm depending on the last feed time then its a rush to have a bath myself then bed ASAP. On the blog front I have been a little quiet yet I have lots of exciting blog collaborations lined up to share with you all. I think I will have more time once mum leaves as I tend to take her out at the weekends to keep her busy. To keep up to date with everything don't forget to follow me on Instagram and Twitter!